Looking for a Lazy Dog? I prefer lazy dog breeds, and I'm not alone. 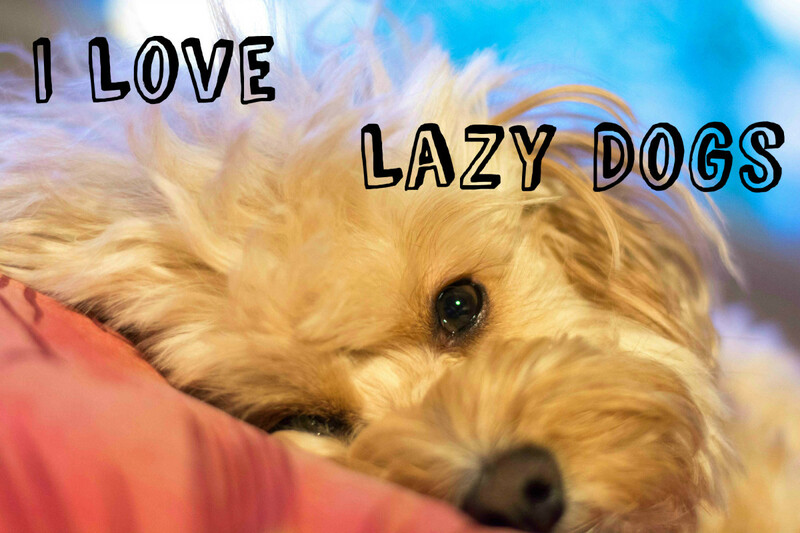 For many potential dog owners, a lazy dog is the best choice. Lazy dog breeds don’t require much exercise, and most of them are super laid-back pooches who don’t want to exert too much effort for things like getting overly excited. Even most lazy dogs, however, are more than willing to enjoy short bouts of play. They just don’t want to overdo it! If you think lazy dogs will do best in your household, check out the dog breeds discussed below. If your heart is set on adding a furkid to your family, choose wisely. Assess your lifestyle honestly, and find a dog that will fit in well. If you have active kids who want a pooch that will run and play with them for hours on end, you probably don’t want a really lazy dog. If you want a canine athlete to go running with you, a Basset hound isn't your best choice. If, however, you want a pet to lie quietly at your feet for long hours, lazy dogs are where you should be searching. Keep in mind, however, that practically every dog needs some exercise every day. The breeds suggested are low energy dog breeds – not no energy dog breeds. With the breeds listed below, a moderate daily walk will suffice – no long-distance sprinting required on your part! Every dog is an individual. You'll find some members of lazy dog breeds that might be high strung and nervous, just as you'd find a few lazy dogs among a breed that's known for high energy. This is just a general guideline. The Basset is basically a big dog with very short legs. 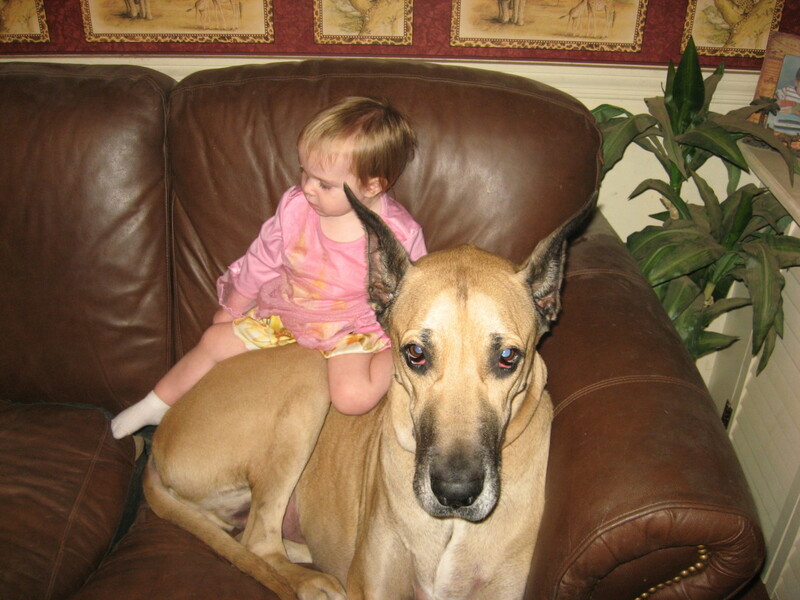 These dogs get along great with kids and other pets. 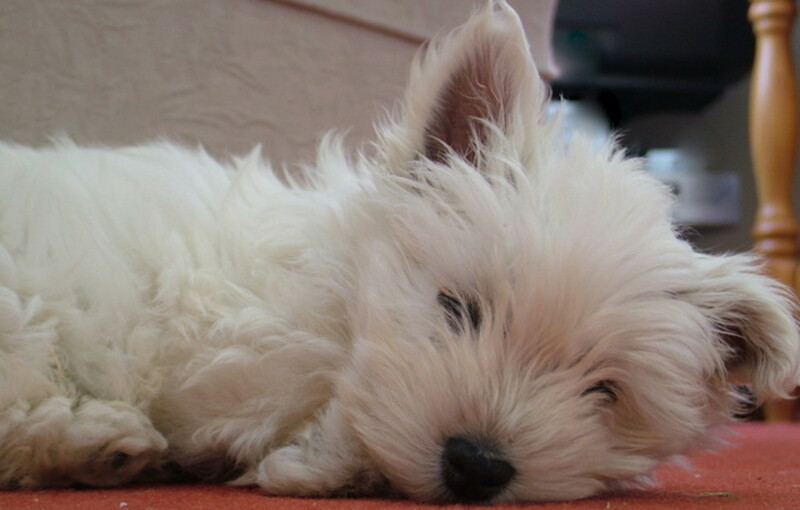 Although they’re generally lazy dogs, if they pick up a scent, they might very well follow it. For this reason, they should always be walked on a leash. 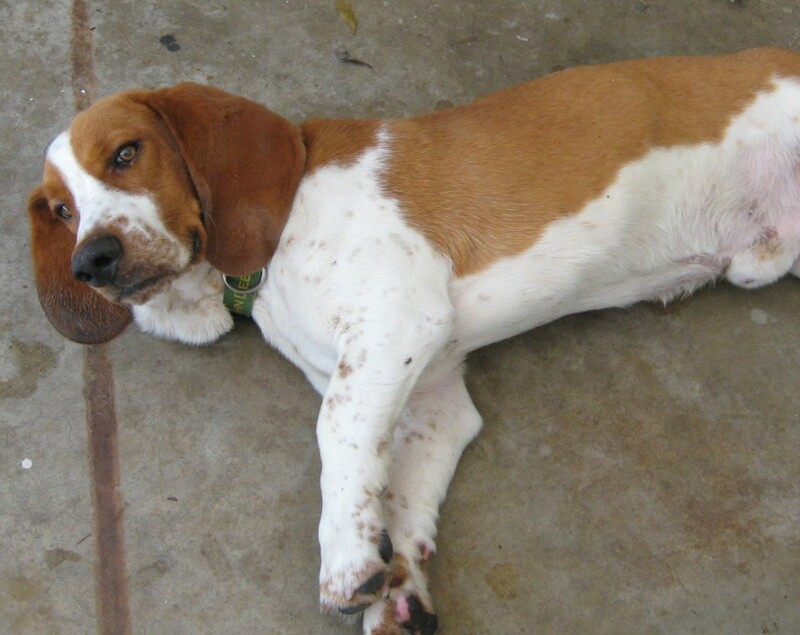 Most Bassets are pretty noisy – whining, whimpering, barking, and howling. Grooming is pretty easy, but you’ll need to pay special attention to their ears, eyes, and wrinkles. Bassets are very sweet, loving, and calm. Who could resist this charming little face? These happy little dogs are very intelligent and easy to train. Brushing your pooch a couple of times a week will be about all the grooming you’ll need to do. 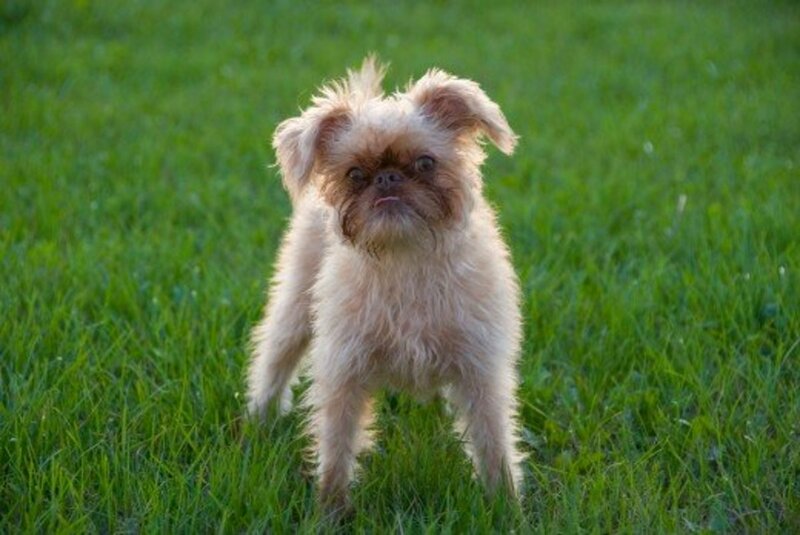 Brussels Griffons are playful indoors, which is where they’ll expend a lot of their energy. Just a short daily walk should keep your furkid in good shape. These dogs have interesting personalities, as they can be somewhat cocky and full of themselves. The smallest of all dog breeds, the Chihuahua probably isn’t a good choice for families with small children. Because of their diminutive size, they’re easily hurt and can get snappy in defense. 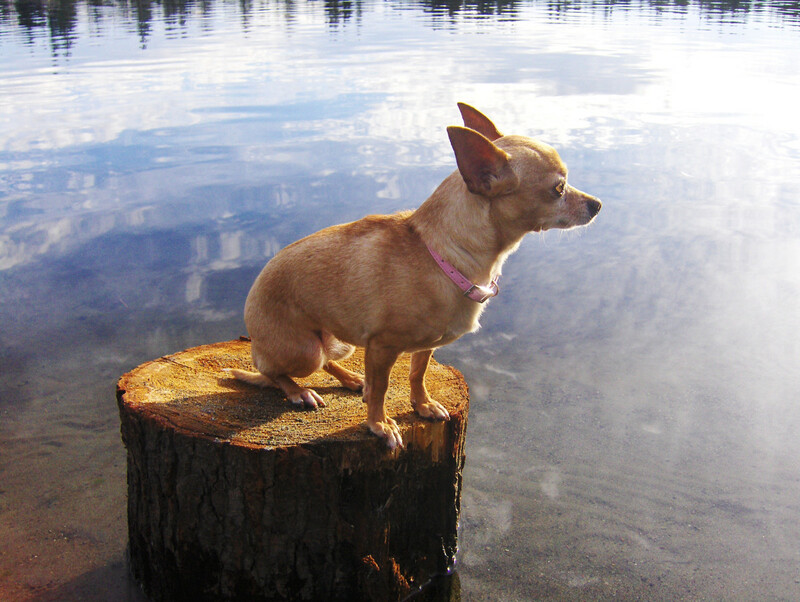 Many Chihuahuas are one-person dogs and can be extremely loyal to their human. These tiny pups require very little in the way of grooming and exercise. If you don’t have small kids and want a lazy dog that will snuggle happily in your lap, a Chihuahua is a good choice. 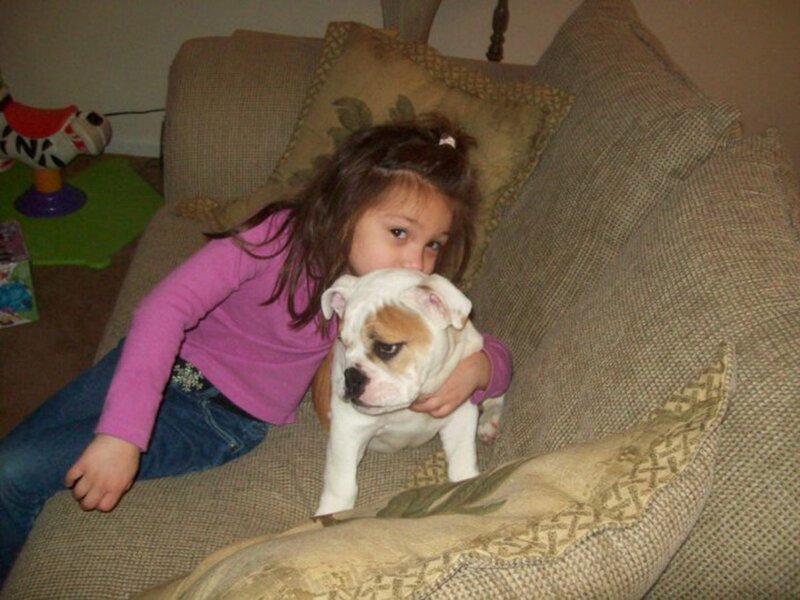 One of my grandpups is an English bulldog. His name is “Dooly,” after the former coach of the University of Georgia football team. Dooly is the grandson of one of their mascots, “Uga.” English bulldogs are very low key, and, as lazy dogs, they don’t require much exercise. All the bulldogs I’ve known have been sweeties and loved everybody and everything, including other pets. They also love food and treats, so if you don’t want a fat dog, your bulldog will need a short daily walk. These lovely little spaniels have long coats that are easy to groom – just brush them twice a week. The English Toy Spaniel is happy, affectionate, and smart. They’re pretty easy to train, and they strive to please. Because of this, they rarely misbehave. These royal pooches are low key and weigh up to fourteen pounds. They’re playful indoors, but they don’t require much additional exercise. 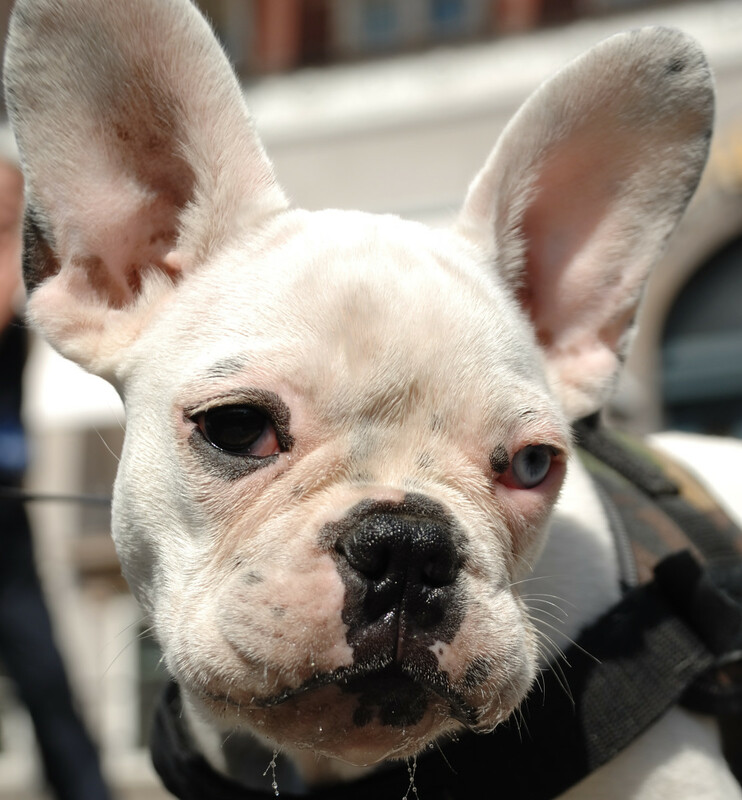 Frenchies are heavy boned, compact, and sturdy, with the typical short nose of the bulldog breeds. These dogs need to live indoors and should never over-exert themselves. They love people and make great companions. They’re patient with kids and can be playful at times, but overall, they’re calm and quiet. These guys will spend hours in your lap if you let them. I’ve owned a lot of Danes. In fact, I used to be a breeder. 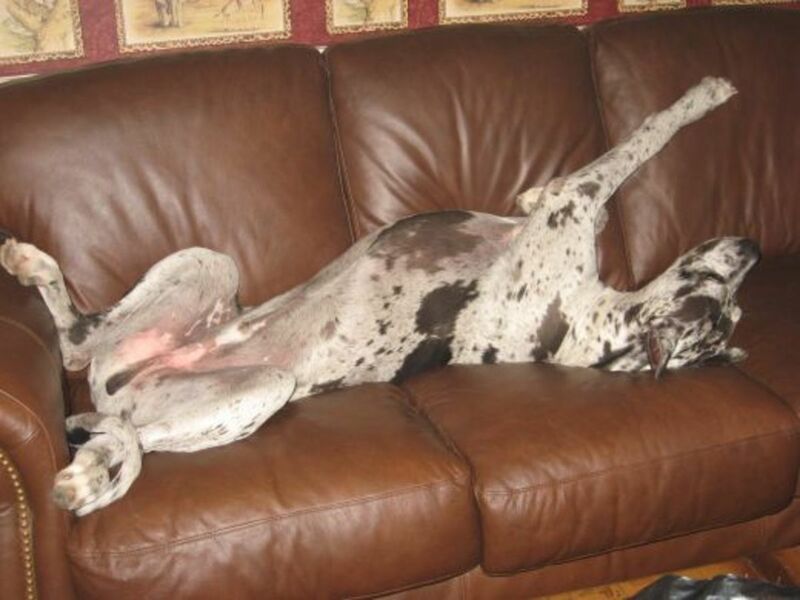 Like many giant dog breeds, Great Danes are lazy dogs with slow metabolisms. That’s a good thing, too. If these giants had high metabolisms no one could afford to feed them! Our two Danes are total couch potatoes. If they don’t get their twenty plus hours of snoozing every day, they can’t function. I let them outside three or four times a day to play and run, and sometimes they just stand there and look at me. If they’re feeling really energetic, they might run around the yard twice before coming back in on their own. Greyhounds are lazy dogs? I know what you’re thinking,but, believe it or not, these svelte pooches would much rather take a nap than chase one of those fake rabbits around a track. Greyhounds are calm and gentle and usually do well with kids and other pets. Their grooming needs are minimal, and a nice walk every day is all they need. Another great thing about getting a greyhound is that it’s easy to find them in shelters and rescues, as many are “dumped” once their racing careers are over. If you’re home for most of the day and want a loyal companion, a Havanese is hard to beat. They thrive on interaction with their human family, but they don’t do well alone for long periods of time. These small canines are smart and attractive, with soft, silky hair that requires a little upkeep. Otherwise, these are low-maintenance pets. Havanese don’t shed, so they make good choices for allergy sufferers. Be sure to provide your Havanese with lots of toys, then prepare to be entertained! Like its larger cousin, the Italian greyhound is a laid-back dog. It can adapt to a variety of situations, and it’s easy to train. 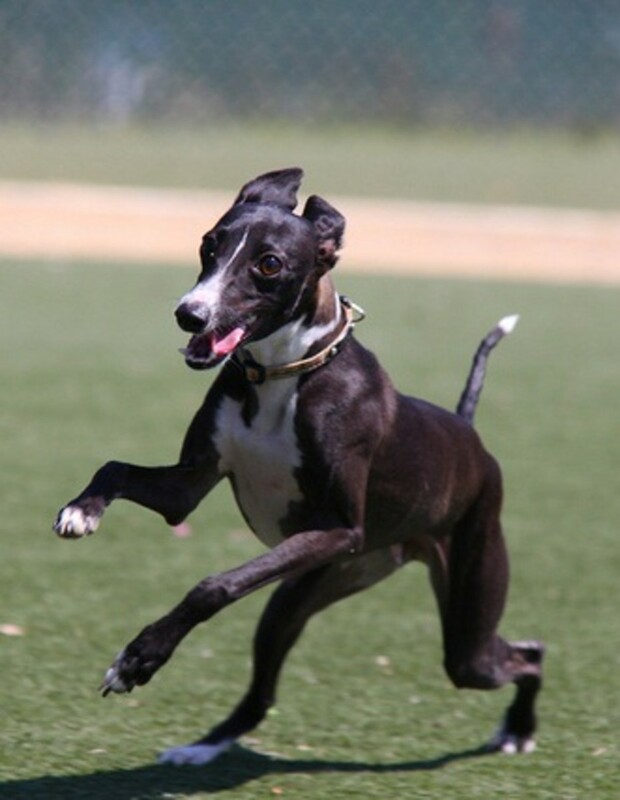 Italian Greyhounds are intelligent, sweet, and very affectionate. They enjoy a good romp now and then, but a short daily walk will suffice for most members of this breed. Because of their short coat, grooming an Italian Greyhound is a cinch. All in all, Italian Greyhounds made wonderful family additions. 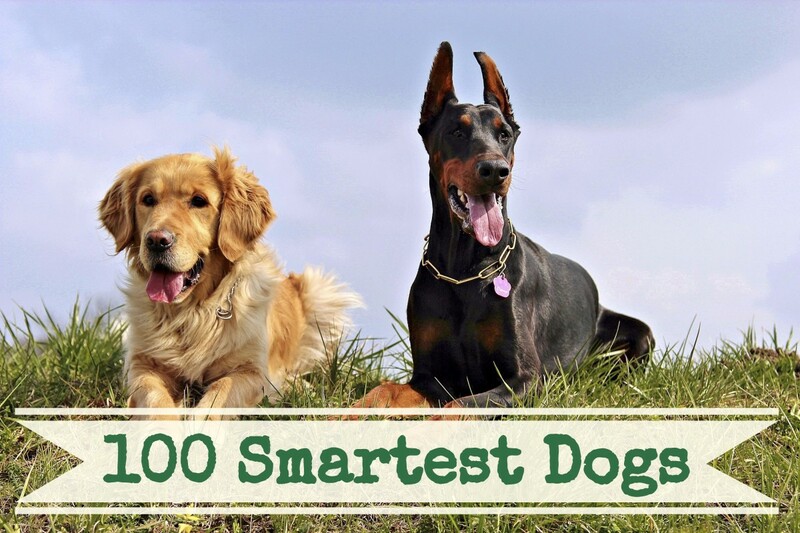 These intelligent pooches know they’re special. After all, they once warmed the laps of aristocrats. They can be real hams, and they adore performing tricks for an admiring audience. Their beautiful coat doesn’t require as much upkeep as you might think. A couple of good brushings a week and they’re good to go. The Chin will love you, your family, and your close friends. They will be more than willing to warm everyone’s lap! Maltese are elegant little dogs with gorgeous white hair. I had one named Pumpkin, and my cousin was a breeder, so I know these white balls of fluff pretty well. Maltese are happy and easy going, and for a small breed, they’re very calm. They don’t bark much, but they will alert you when someone approaches your home or knocks on the door. Unless you want to spend a lot of time grooming, keep your Maltese clipped. Their long, fine hair gets tangled easily. These big teddy bears are calm and even tempered, and they are rarely in a hurry. They strive to please their masters and readily accept training. They’re usually protective of their human “pack,” and several have rescued humans and other animals from drowning. Newfies are super sweet, loyal, and snuggly. They don’t require any fancy grooming, but their thick coats do need good regular brushings. A nice daily walk should keep your Newfoundland happy and healthy. The pug is a small dog that has the temperament of a large breed. It’s not yappy or nervous like some little dogs, and it has a sturdy build. All the pugs I’ve known were great with kids, but you have to be careful not to let them become overheated. Like other breeds with short muzzles, they can have breathing problems, so they need air conditioning in the hot months. 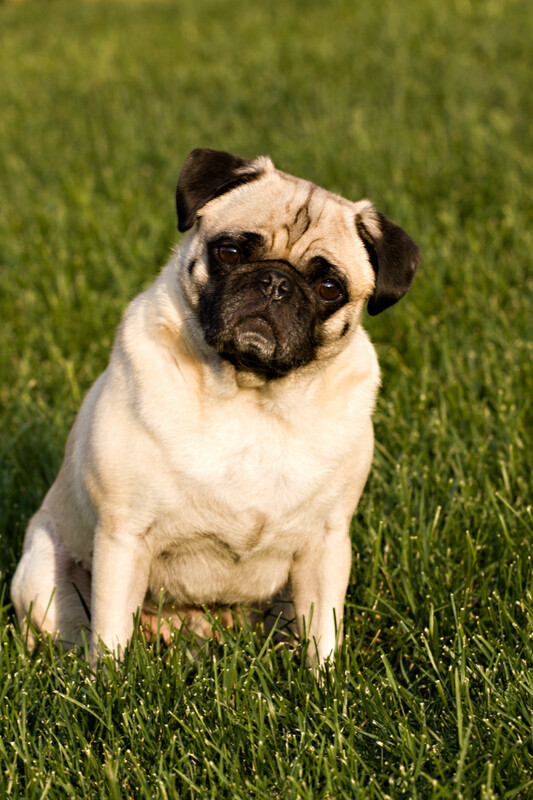 Pugs are intelligent and easy to train, and they’re wonderful companion dogs. One of the most intelligent dog breeds, the poodle is extremely easy to train. While not a great choice for families with small children, toy poodles do well with older kids. These dogs are very entertaining and also pretty good at entertaining themselves, but they like to be near their humans. If you spoil this pup and allow him to get away with misbehaviors, he might very well try to “rule the roost.” Otherwise, these are great little dogs that are usually calm as long as they get some play time every day. If you have allergies, the toy poodle is a great choice for you. Generally speaking, older dogs are usually pretty lazy dogs. 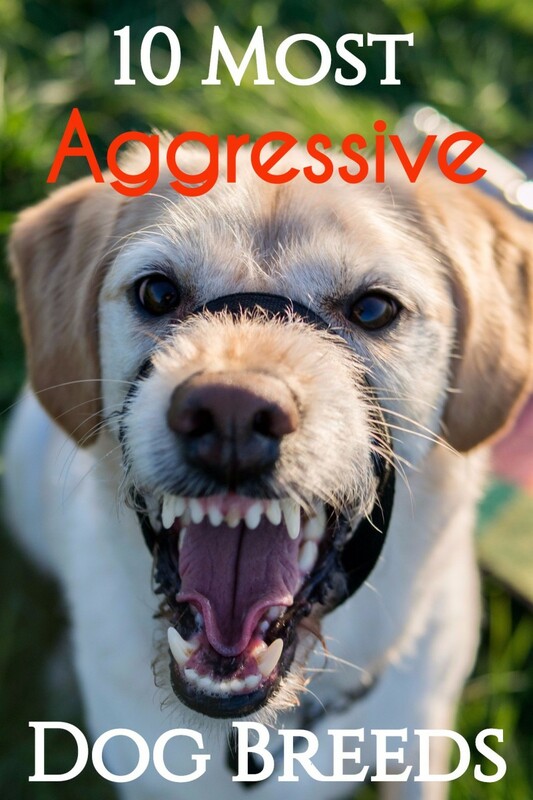 Most don’t have the destructive tendencies of puppies or the drive of dogs in their prime. Many older canines have had years of experiencing all kinds of situations, so they can be almost unflappable. There are thousands of older dogs in shelters just waiting for a second chance. If you’re interested in lazy dogs, your local shelter would be a great place to begin your search! 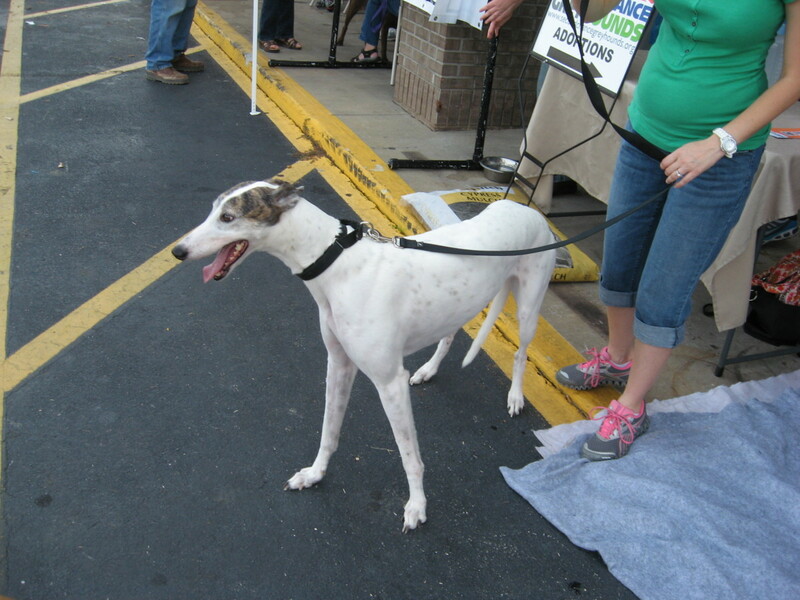 Carly, I took that photo at a local greyhound adoption event. The organization claimed it to be a purebred greyhound, so I'm not sure. lol. Thanks for reading! Fantastic article, hope every visitors will like and leave their comments, that is way to share thoughts! Just came across your wonderful and informative piece. I am a cat person though and am constantly surrounded by I've lazy cats. I love the pictures you used and the manner your organised your article. good job. I am surprised your Great Dane is so mellow. I always perceived the bigger the more active. Love the picture of him taking over your couch; reminds me of my Akita when she wants to be comfortable! wow some of these really surprised me :). The great dane and the newfoundland .. I wouldn't have expected that! Marion, your Bassets are more energetic than ours is. He enjoys a brisk walk, but he wants to go home before I do. He starts limping a little on one of his front legs. He's only two, but his front legs turn out - extremely. We adopted him from our local animal shelter. He usually has short bursts of high energy at night, when he wants to play with the Danes. And yes, all dogs need exercise - unless they're invalid, of course. Thanks for reading! Kelly, that's soooo true! Siberian huskies are gorfeous, but I don't think one would fit well with our laid-back lifestyle. Thanks for reading! Voted up! This is a great article. How many times I see people choosing a dog because of the look. We have a Siberian Husky, and people tell us all the time that they would love to get one because he's so beautiful. Well, that's true, he's a looker - but OH MY GOD was he ornery as a pup. In his mind, our lives should be completely about amusing him. We, luckily, were ready for that, but not everyone thinks ahead. I really love this article! Howdy, Mattie Mae! Dooly was Uga VI's grandson. GO DAWGS!! Your hub is very enlightening to me.. I own couple of dogs but 2 of them are very active, to the degree that it's hard for me to pet them..
Maybe next time I want to adopt additional dog, I'll have to choose one from your list to balance it out.. English bulldog is my top choice, love them :)..
Jmillis, I'm not very familiar with that breed, but they sound like lazy dogs, for sure! I know they're super cute. Lisa, I'm sure you'll find the perfect pound puppy! Some of our best pets have come from animal shelters. Cavalier king Charles spaniels are also lazy dogs happy to lie on you lap and sleep all day. Great hub very informative . Such an adorable hub! I want a dog of my own but it won't be for a while since I had to give my last one away because we were making a big move across Washington state. I love lazy dogs. Not sure which one I'd like to get but, as soon as I can have a dog again, I'm going to my local shelter and see which one I fall in love with. This has some great information to help with he decision making process. Thanks for sharing! Hi, Daniel. I agree about the Mastiff - I should have included those giant couch taters! I've never known a Dogue de Bordeaux, though. Thanks for reading! Can't believe the English Mastiff, Dogue de Bordeaux, or any other mastiff isn't on this list. Laziest dogs I've ever owned. I had two french greyhounds, not lazy at all. Nonstop running from wake up to sleep. Ended up giving them away when I moved. Never again. Pals - thanks for your readership! Please notice in the hub that I say each dog is an individual and doesn't always follow the other members of its breed. Also, I wrote only about dog breeds I have known personally. If I don't have a breed listed, it doesn't necessarily mean that they're not lazy dog breeds. It could just be that I don't know the breed well enough to make a judgment. Somehow border collies did not make your list, LOL! In fact I don't see any herding breeds on your list. Which would you say is the laziest of the herding group? Great recommendations, but like people and steriotypes,every dog is different and may not conform to breed standards. Always adopt and you will be rewarded 10 fold. I love dogs... and wow, when I get too old for long walks, I will certainly consider the lazy dog breeds... and they come in all sizes. Good hub. Thanks for the great hub! I hope a lot of people looking for a new dog will think of a lazy dog. Wish I had read your hub 10 years ago! I have a Brittany Spaniel who is still like a puppy after ten years. They are lovely dogs in many ways but laziness is not in their description. Next time, I am going for lazy! I thought Cavalier King Charles Spaniel dog is a lazy dog but it´s not on your list. I enjoyed reading this hub. It is very informative. The photos are very beautiful. Thanks for sharing. habee...awesome hub. Did you know (I didn't read through all the comments here, so maybe you do...) that if you combine 2 lazies you get 1 super lazy? :-) We adore and are currently "owned" by a breed that is a combination of the first two on your list...griffon and basset. We have two PBGVs, and we regularly have to hold mirrors under their wee noses to see if they are still breathing...now THAT'S lazy ! More people should get lazy dogs! Sure, it's fun to watch the high-energy sports dogs, like the Border collies, but unless you love actually doing the training and the sport, those dogs aren't always so easy to live with. I love it! We had neighbors with the most adorable Basset Hounds - they would go for walks when they were puppies, but they mostly slept once they were fully grown! We have a Golden Retriever and he's pretty calm, but we have met other retrievers that are extremely hyper! You kind of made me want to get a dog. But alas I think my cat would get mad. :( Very, very cute pictures. louromano, aren't Great Danes...great?? I think they're the best of all dog breeds! Done, Misty! That was a great hub! Ditto on Great Danes being lazy dogs. Mine sure is! Mandy, sounds like you need a Great Dane! They're lazy dogs indoors, but can be active when outdoors. Dog Advisor, that's a smart pooch! Thanks, Daniel! Glad you stopped by. Do they require as much exercise? I have a neighbor with a bulldog that's very stubby and fat. I'm not super active but I'd want a dog that doesn't waddle all over the place. Haha. What a lovely hub. I thoroughly enjoyed reading this habee. Hug, it's great to have such a long relationship with a dog! Great hub. I have had my toy poodle since I was 9 (I'm 20 now)and she's always been such an outgoing lovable dog. Oh, I totally agree, J. 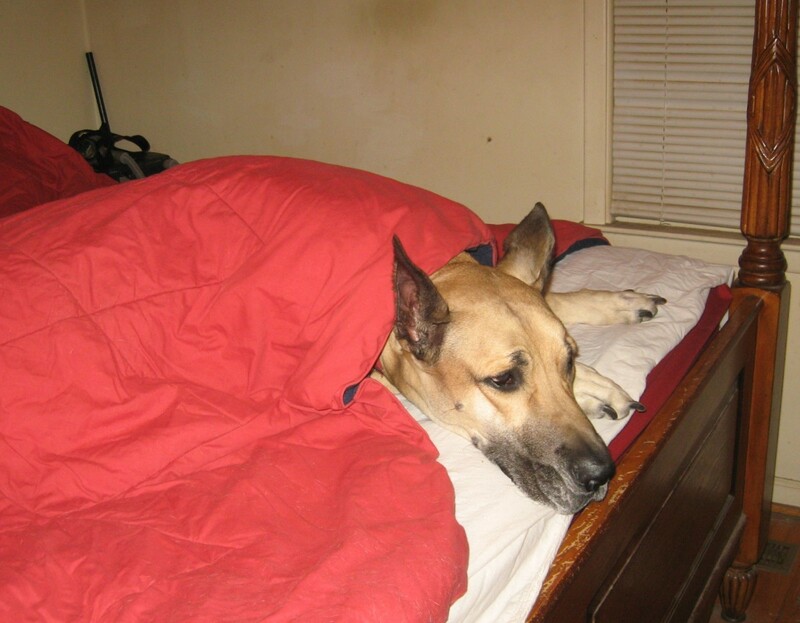 That's why I included the "word of caution" in the first part of this hub about lazy dogs. Thanks for reading and commenting! Cool hub but I think that some of those breeds can be hyper or lazy. Also, my dog who is a pit or boxer mix of some kind, was initially really hyper and energetic. Then after he turned one year, I started to train him to be more calm in the house and not show his bursts of energy even though it really funny. Now he is 1 year and 4 months and his energy level has gone down a lot. He is much more calm in comparison. I think training, socializing, and of course the personality of the dog play a huge factor! Homestead, I'm not too familiar with Poms. Sorry! adrienne, thanks! I adore dogs - especially Great Danes. OOOooohh what cutie pie of a hub, love my dogs! Habee the pics are outstanding. The Brussels is so adorable! This is a really cool hub! I just wish my favorite was on this list. I love the Pomeranian! I have now had 3 of them and I truly love them. Thanks, Laura! I guess I've just had lazy dogs. lol. Our Chihuahua and my daughter's poodle were both lazy dogs that didn't require much exercise. Thanks for reading! Great article, but I have to disagree with some of the breeds you mentioned. Chihuahuas, Japanese Chins, Italian Greyhounds, and Toy Poodles are definitely not lazy breeds. One of the reasons why Chihuahuas and Toy Poodles are known to be yappy and nippy is because they don't get enough exercise, which causes them to act out. I know of course there are exceptions to every breed. You can find a docile Border Collie and a high strung Bulldog, but in general, some of the breeds you mentioned aren't very lazy. Other than that, I thoroughly enjoyed your hub! It was very informative and had great pictures! Winter, I explained that in the first part of the hub. Dogs, like people, are individuals. Just because a breed includes lots of lazy dogs among its numbers, it doesn't mean that EVERY dog from the breed will be a lazy dog. Thanks! Rick, give me a call and I'll help. Kelly, I hope you find another perfect pooch to love! I completely agree too many people acquire dogs with no thought to anything but appearance and don't think about temperament. But I would also caution that no two dogs of a single breed are identical. Potential adopters need to meet the litter and see personalities. We have 2 doggies in the house, different as night and day. And a pavilion, who should be smart sweet and lovable. She is smart, but not so lovable with most people and rather than a laid back dog, a hyper sensitive one. Lol, Rick. Our black-and-white Dane is Grendel. Hamlet is the fawn Dane. This was a great read I think I have your great dane on my downloads he or she is actually in my Poodles book mom was looking at it on line one nite so I had to down load .I do need a name so I can put him on the Pink Poodle train this train will be around forever and I want to include as many dogs cats opossums ,and any other animal ,A vulture escaped from the Jacksonville zoo and is headed north so I have a new character ,he's headed north and is hungry and wants to meet all the buzzards up here in Ga. I'm looking for my next lazy dog. I'm drawn to the toy poodle because they are so smart, loyal and loving. My last little one was a toy poodle and she was 'pert-near' perfect. She has moved on now and I am finally ready for a new baby. Thanks for the great list to choose from, habee! Lol, style. Your lazy dog sounds just like my 2 lazy dogs! Cool, Cream. Thanks for reading! Our lazy Lhasa adopted us two years ago. This dog is the laziest dog I've ever seen! Ha Ha Ha! I don't know if because of his age [he's 8 years old] or if it's the breed. He is content to lay around the house all day and sunbathe outside. Occasionally, we can get him romping around but it only last a few minutes before he's over it and goes and lays somewhere. Oh, I agree, Misty! I love greyhounds and wish more folks would adopt retired racing greyhounds. So lovely to see you included greyhounds in this Hub Habee. Too many people look at me doubtfully when I try to tell them just how lazy greyhounds are, and what gentle dogs they are for a family home. Really frustrating when so many out there are desperate for loving homes and a nice spot by the fire to go to sleep. SJK, Maltese are cool little guys, aren't they? Thanks for reading! As a dog lover, I really enjoyed reading this Hub. One of my favorite dogs I've had is the Maltese. He was pretty lazy, just wanted to lay around and sleep. I even wrote a Hub about him. I never thought of a Great Dane being lazy, though. Very interesting. Never considered dogs to be lazy with all types of breeds. Good to know! I actually ended up with a pair of giant Rottweilers. Not so lazy.... But I was really leaning towards a Dane. Who knew? Thanks for the great hub about lazy dog breeds. Keeley, get a Great Dane if you want a sweet, funny, lazy dog! 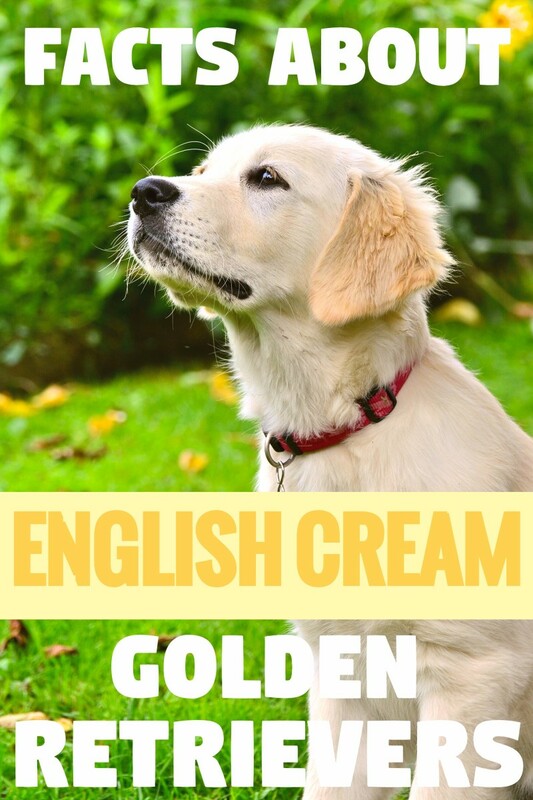 Cream, pugs are great little dogs! Weestro, I've had just one husky, but she wasn't a lazy dog! Thanks for reading! Sam, I kinda like snooooozes myself! Mike, I have an English bulldog as a grandpup! This is a great article! I want a lazy dog the next dog I get and now I know which breed to focus on. thanks! I'm a dog lover. I do really love chihuahua and pug for they are cute and sweet.. I do have those breed at home! and i love them. Sorry, Eileen, please read the "word of caution" in the article. I've owned three Bassets, and I assure you that Gypsy, Bo, and Ellie Mae were all very lazy! They were wonderful dogs, though. Blair, I've had several wolf hybrids, and they were all pretty high energy. Amru, thanks a bunch for stopping by! Robin, he could be the poster child for lazy dog breeds! rj, that sounds like a great match! I like lazy dogs for the same reason. Youe right, mville, but even with a lot of research, you could wind up with a dog that's atypical of its breed. Sometimes it's hard to "pigeonhole" dog breeds. Joe, I've never seen The Office. Guess I need to tune in! Bizzy, thanks for reading about lazy dog breeds! Ah, drbj - so you're a poodle person, huh? Mo, aren't Danes the BEST? ?